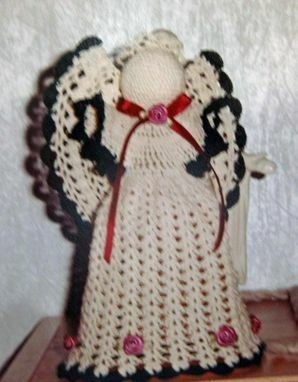 Angels are something that can be used all year around. 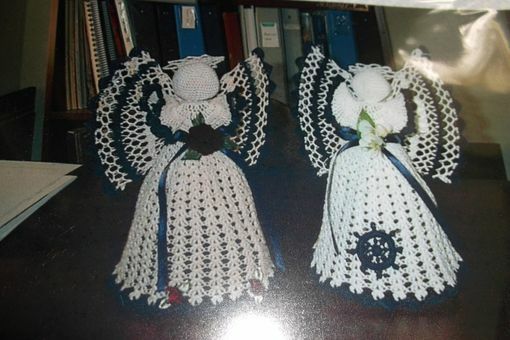 The two angels pictured were made special for a military family. Note the ship wheel applique at the bottom of one of the skirts. 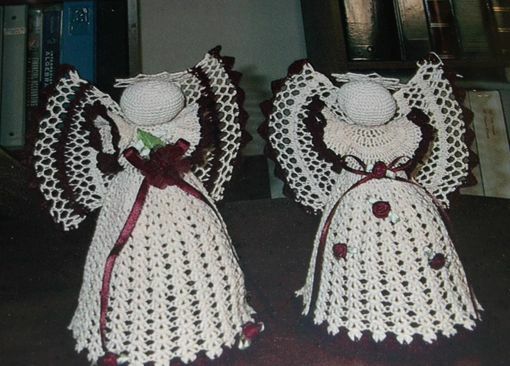 They are crocheted in thread with accents of Navy blue and burgundy. Of course, they can be made in any color with accents to match other personalities; I've made them with anchors for the Navy, too. They are starched in a stiff sugar starch and stand on their own, but can also come with a clear plastic cone to help them stand.